$1.50 Off Select Blackstone Tipped Units! 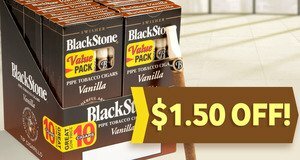 Get $1.50 Off select units of Blackstone Tipped Cigars! The JR price has been reduced by $1.50 Off!